Many components are used to enlarge the signals in today’s fiber optic transmission system, like EDFA (Erbium-Doped Fiber Amplifier). However, in some cases, the power level of an optical signal should be reduced. For example, in DWDM (dense wavelength division multiplexing) systems, multiple wavelength channels arriving at a node may pass though different paths and experience different losses, their powers need to be equalized before entering the optical amplifier to get flat gain since the gain of each channel depends on the power levels of the other channels. In this case, a point reduction in optical signal strength may be required. And a component is usually used which is known as fiber optic attenuator. This article is to give a basic introduction of fiber optic attenuator in details. A fiber optic attenuator, also known as an optical attenuator, is a passive component that is used to reduce the power level of an optical signal by a predetermined factor in fiber optic transmission system. The intensity of the signal is described in decibels (dB) over a specific distance the signal travels. Fiber optic attenuators are generally used in single-mode long-haul application. As technologies advanced, many principles are used in the operation of fiber optic attenuator to accomplish the desired power reduction. Several operation principles of fiber optic attenuators are being introduced here. Gap-loss Principle: in attenuator using gap-loss principle, the reduction of the optical power level is accomplished by two fibers that are separated by air to yield the correct loss. The optical signal is attenuated when it passes a longitudinal gap between two optical fibers. This kind of attenuator is also called air gap attenuators which are susceptible to dust contamination and can be sensitive to moisture and temperature variations. In addition, this attenuator is very sensitive to modal distribution ahead of transmitter. Thus, it is recommended to be used very close to the optical transmitter. The farther the air gap attenuator is placed away from the transmitter, the less effective the attenuator is, and the desired loss will not be obtained. To attenuate a signal far down the fiber path, and optical attenuator using absorptive or reflective techniques should be used. Gap-loss principle is showed as following picture. Absorptive Principle: as the fiber optic has the imperfection to absorb optical energy and convert it to heat. This absorptive principle is used in the design of fiber optic attenuator, using the material in optical path to absorb optical energy. This principle is very simple, however, it can be an effective way to reduce the optical signal power. The following picture shows the absorptive principle. Reflective Principle: another imperfection of fiber optic is also being used to reduce the signal power, which is reflection. The major power loss in optical fiber is caused by the reflection or scattering. The scattered light causes interference in the fiber, thereby reducing the signal power. Using reflective principle (shown in the picture below), fiber optic attenuator could be manufactured to reflect a known quantity of the signal, thus allowing only the desired portion of the signal to be propagated. Various principles are being applied to reduce the power single. Also various types of attenuators are being manufactured to meet different applications. The following part is about the main types of the fiber optic attenuators. Fixed and variable attenuators are the main types that are being provided in today’s market. Their characteristics are being introduced. Fixed Attenuator, as the name implies, has a fixed attenuation level. Fixed attenuator can theoretically be designed to provide any amount of attenuation that is desired and be set to deliver a precise power output. Fixed attenuators are typically used for single-mode applications. They mate to regular connectors of the identical type for example FC, ST, SC and LC. Variable attenuators allow a range of adjustability, delivering a precise power output at multiple decibel loss levels. Variable attenuators can be divided into two types. One is stepwise variable attenuator which can change the attenuation of the single in known steps such as 0.1dB, 0.5dB, or 1 dB. The other one is continuously variable attenuator. This kind of fiber optic attenuator produces precise level of attenuation, with flexible adjustments. It allows the operators to adjust the attenuator to accommodate the changes required quickly and precisely without any interruption to the circuit. 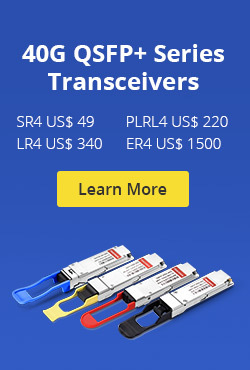 They are also available with various fiber optic connectors. Fiber optic attenuator, an important device to control the power level of optical signal precisely, are being designed to different operation principles and types. Getting the basic knowledge about its working principle and types could help to select the fiber optic attenuator to the required applications. This entry was posted in Network Solutions, Optical Attenuator and tagged EDFA, fiber optic attenuator, Optical Attenuator, signal power on September 28, 2015 by Alice Gui. We always utilize an amplifier to improve signal electricity in fiber optic transmission. But what if there is too much light deliver through a fiber optic receiver? At that time, you may need an optical attenuator to reduce the power level. This post will help you get better understanding of optical attenuator. An optical attenuator, or fiber optic attenuator, is a device used to reduce the power level of an optical signal, either in free space or in an optical fiber. Optical attenuator usually works by absorbing the light, like sunglasses absorb the extra light energy. It typically has a working wavelength range in which it can absorb the light energy equally. It should not reflect the light since that could cause unwanted back reflection in the fiber system. Another type of attenuator utilizes a length of high-loss optical fiber, that operates upon its input optical signal power level in such a way that its output signal power level is less than the input level. The power reduction is done by such means as absorption, reflection, diffusion, scattering, deflection, diffraction, and dispersion, etc. Test power level margins by temporarily adding a calibrated amount of signal loss. Installed permanently to properly match transmitter and receiver levels. Sharp bends stress optic fibers and can cause losses. In terms of different forms, optical attenuator can be classified as fixed attenuator and variable optical attenuator. Fixed attenuator is compact adapter style tool that is ideal for attenuating single mode fiber connectors in various applications. It is comprised of two big groups, in-line type and connector type, displaying as following figure from left to right. In-line type appears like an ordinary fiber patch cable; it has a fiber cable terminated with two connectors which you’ll specify types. Connector type attenuator looks like a bulk head fiber connector, it has a male end and a female end. It mates to regular connectors of the identical type for example FC, ST, SC and LC. Variable optical attenuator is general used for testing and measurement, but it is also has a wide usage in EDFAs for equalizing the light power among different channels. One type of variable optical attenuator is made on the D-shaped fiber as a type of evanescent field device. If your bulk external material, whose refractive index is larger compared to mode effective index, replaces a part of the evanescent field reachable cladding, the mode can become leaky plus some from the optical power could be radiated. If the index from the external material could be changed with a controllable mean, with the effects for example thermo-optic, electro-optic, or acoustic-optic, a device with controllable attenuation is achievable. From this post, we can know the definition, working principle, applications, types of optical attenuators. Fiberstore provides optical attenuators with various connector types. If you want to know more information, you can visit fs.com. This entry was posted in Optical Attenuator and tagged Optical Attenuator on June 5, 2015 by Admin. Optical attenuators are used to reduce the power level of optical signal, either in free space or in an optical fiber. They are often used in optical communication systems where the optical signal is too strong and needs to be reduced, in which the attenuation, also called transmission loss, helps with the long-distance transmission of digital signals. Optical attenuators can take a number of different forms and are typically classified as fixed or fiber optic variable attenuator. Fixed attenuators can be broken down into either build out style or incorporated into a patch cord. The build out variety is a small (~ 1.25 inch long) attenuator with a male connector interface on one end and a female interface connector on the opposite end. The build out style is typically fabricated with either air gap attenuation or doped fiber attenuation. Fiber optic attenuators can be designed to use with various types of fiber optic connectors. Commonly used fiber optic attenuators are the female to male type, which is also called a plug fiber attenuator. Another type inline fiber optic attenuator is designed with a piece of fiber optic cable at any length and connectors are installed as the customers request. Fixed value fiber optic attenuators can reduce the optical light power at a fixed level, for example, a 10dB SC fiber optic attenuator will reduce the optical power 10dB and utilize a SC male to female attenuator. Variable fiber optic attenuators are with adjustable attenuation range. There are also attenuation fiber optic patch cables available, their function is the same as attenuators and are used inline. Variable Attenuator (or ajustable fiber optic attenuator) is a need to provide different under construction decline. The reduction of precision devices for a wide variety of fiber optic transmission lines to carry out scheduled, the amount of light intensity attenuation. There are also handheld variable fiber optic attenuators which are used as test equipment. Typical attenuation values are between 3 and 20 dB. It is used in optical systems where the optical power from a source is too high for the test equipment in use. Fixed plug type fiber attenuator provides a connector plug (male) and an adapter socket (female) to connect between fiber patch cord and fiber adapter. Fixed plug type optical attenuator introduces an in-line fixed loss that will reduce the source power to an acceptable detection level. The attenuation level should be stable with temperature and wavelength for a stable reliable system. An optical attenuator uses a segment of attenuating fiber interposed in the optical path. The attenuating fiber is produced by using a solution doping technique to introduce transition or rare earth elements into the fiber’s core. The dopant reduces the transmission of the fiber. The degree of attenuation depends upon the material used as the dopant, the dopant level, and the length of the attenuation segment. In a specific embodiment, an optical attenuator is provided having a first and second signal carrying optical fibers and an attenuating fiber segment, each of which has a core, a cladding substantially coaxial with the core, and a substantially planar end face. The attenuating fiber segment is fusion spliced between the first and second signal carrying optical fibers. In a second embodiment a portion of the cladding of the attenuating fiber is chemically etched. Wide range variable & inline fiber optic attenuator and the inline fiber optic attenuator are with more accurate attenuation compared with traditional connector type fiber optic attenuators. 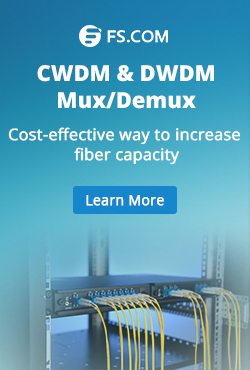 Variable optical attenuators from FiberStore are specifically designed for use in DWDM networks with individual channel source elements such as add drop multiplexer. This entry was posted in Optical Attenuator, Wiki and tagged add drop multiplexer, optical attenuators, variable optical attenuator on July 16, 2013 by Admin.